Welcome to Precision Peaks—where art, technology and mountains meet. 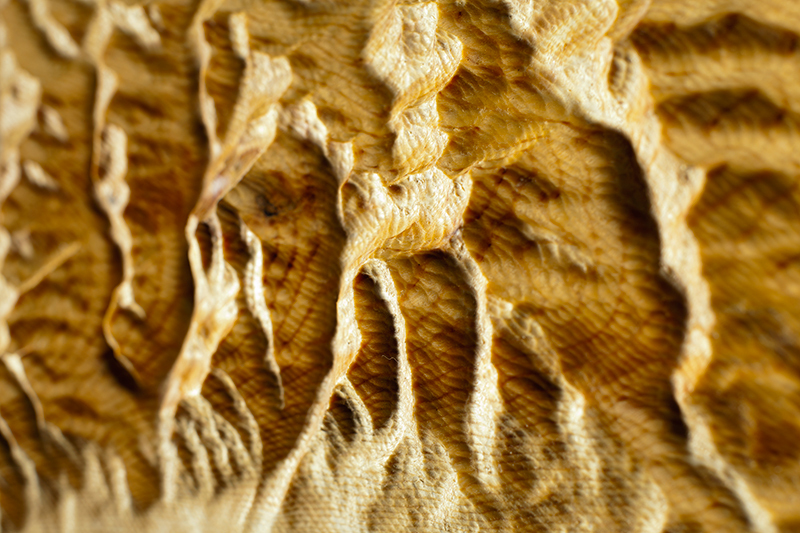 We create detailed pine carvings of the most celebrated peaks, passes and ski areas of the Mountain West and beyond. Our work provides a beautiful, tactile way to capture your mountain memories, and to inspire you for adventures still to come. We utilize beetle-killed pine to craft our diverse mountain models. Given the unique colors and qualities of this wood , no two models are ever alike. Your model may feature small cracks, knots, pitch pockets, insect markings, and discoloration—all of which combine to give beetle-killed pine its defining characteristics. Read more about our process. From Colorado’s 14ers to California’s High Sierra, every summit tells a story. Chronicle your climbing adventures with models of America’s signature peaks. Yosemite. Olympic. Black Canyon of the Gunnison. Commemorate your visits to the crown jewels of America’s national park system. Display wall-mounted works as big and bold as the landscapes that inspire them. Vail, Aspen, Telluride, A-Basin. We carve what you carve. We capture the hidden valleys and secluded peaks that mean the most to you—wherever they are found. In collaboration with Beaver Works, the Cabin Collection and Bosanko Woodworks, we offer a variety of custom frame and display options. Whether you are furnishing a rustic cabin or redecorating a contemporary den, we have a frame to suit your taste and décor. Precision Peaks is located in eclectic, historic Leadville—a legend among Colorado mining camps. We look forward to meeting you at our studio workshop or at an upcoming event. Check back soon for our online store!